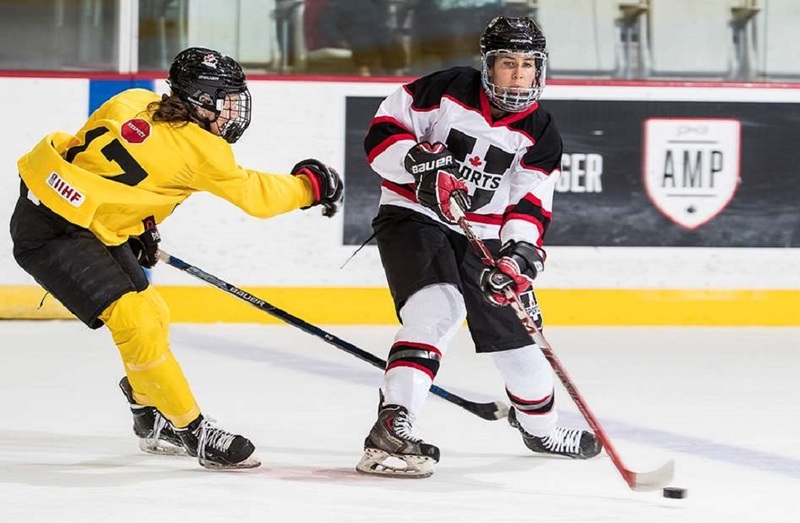 Alanna Sharman, Audrey Belzile and Sarah Bujold scored in a 4:34 span in the first period to lift the U SPORTS All-Stars to a 3-1 win over Hockey Canada’s Team James – one of two split squads making up the National Women’s Development Program – on Tuesday night at WinSport Arena. It was the second consecutive victory for U SPORTS over Team Canada in three years participating at the Summer Showcase, following last year’s inaugural 2-1 win. A day after struggling to find the back of the net despite nearly doubling Japan’s shot total on Monday, Team U SPORTS broke the game open early and often on Tuesday night. Under six minutes into the game, Montreal’s Catherine Dubois dug the puck out of the corner, slipping a backhand feed right in the slot to Sharman – a national champion with the Manitoba Bisons last season – who snapped it low glove for a 1-0 lead. The offence wasn’t done, as just over three minutes later, Cassidy Herman (Ottawa) fed a stretch pass to Belzile (Concordia) who made no mistake, cashing in on the breakaway off the post and in. Not long after, it was U SPORTS captain Kaitlin Willoughby (Saskatchewan) finding fellow returning teammate Sarah Bujold (StFX), who finished off the two-on-one to make it 3-0. The pair of goals came just a minute and 23 seconds apart. Jaycee Gebhard had the only goal for Team James in the contest. Sarah Bujold (@StFXAthletics) on her performance and how the team played tonight! Maude Trevisan of the Montreal Carabins got the start after backing up in Monday’s opener, stopping 25 of 26 shots in the win. Team James tandem of Corinne Schroeder and 2017 U SPORTS Rookie of the Year Tricia Deguire of the McGill Martlets – who was facing her fellow student-athletes as part of Hockey Canada’s Development Program – combined for 23 saves in the loss. The two teams went a combined 0-for-11 on the power play. 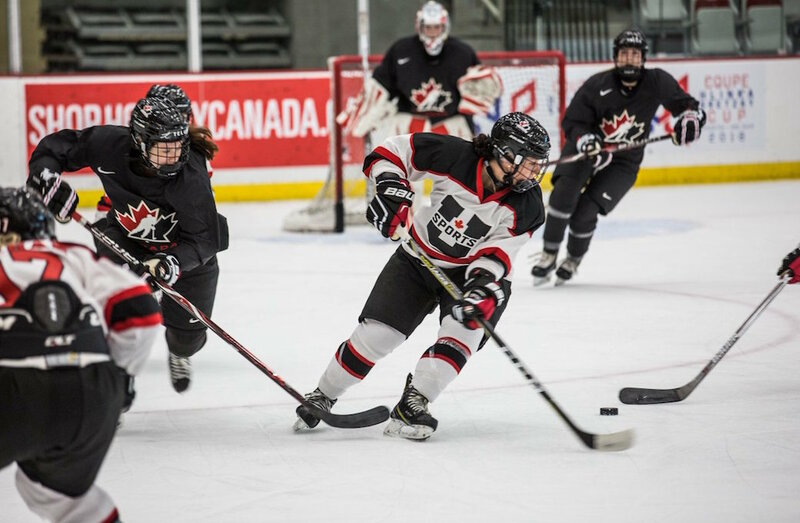 Since 2016, the U SPORTS All-Stars have been invited to take part in Hockey Canada’s Summer Showcase with the Canadian National Women’s Development Team along with international opponents. Each year, the U SPORTS All-Stars feature former major award winners and All-Canadians, as well as future CWHL draftees. The U SPORTS All-Stars will have Wednesday off before taking on Canada's Team Heaney on Thursday night at 9:30 p.m. ET / 6:30 p.m. PT.